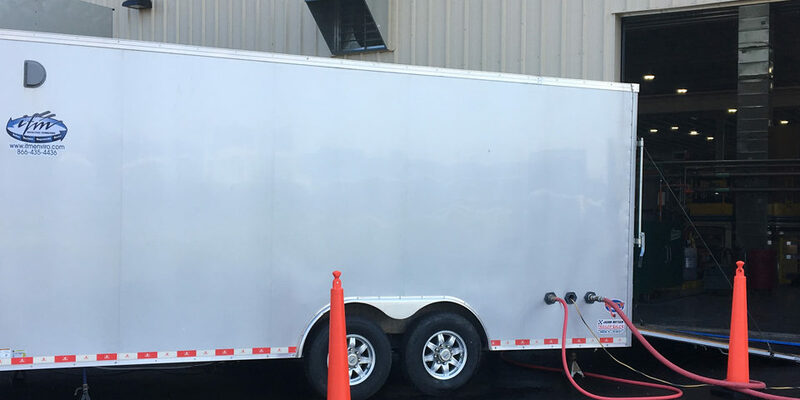 A National Travel Center contacted IFM regarding an existing wastewater treatment facility that needed some upgrades. The existing facility, rated for 20,000 gallons per day (GPD), was currently meeting limits but the plant was deteriorating. The plant was an above ground, steel plant that was heavily influenced by age, weather conditions, and the corrosive nature of the wastewater fluid. pump and haul during construction and the decommissioning and removal of the current plant and all treatment equipment. 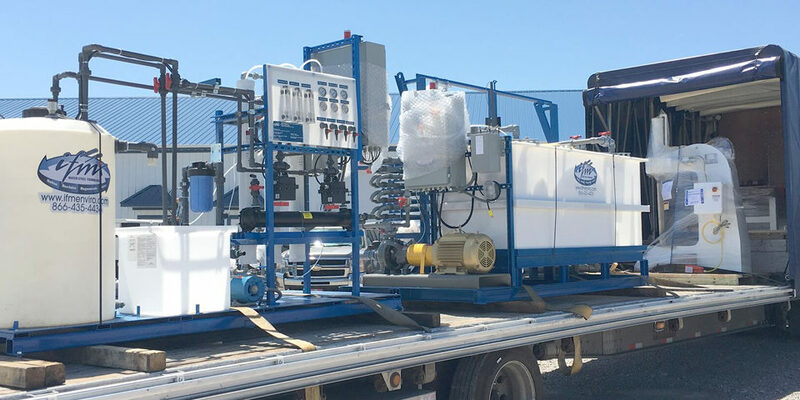 With the clients existing relationship with IFM's Operations Division and their experience with extended aeration plants, they chose to go with option one. This option also gives the treatment plant a longer life expectancy due to the concrete tanks and being buried underground. IFM promptly finalized the design of the plant and began the approval process through Department of Environmental Protection. 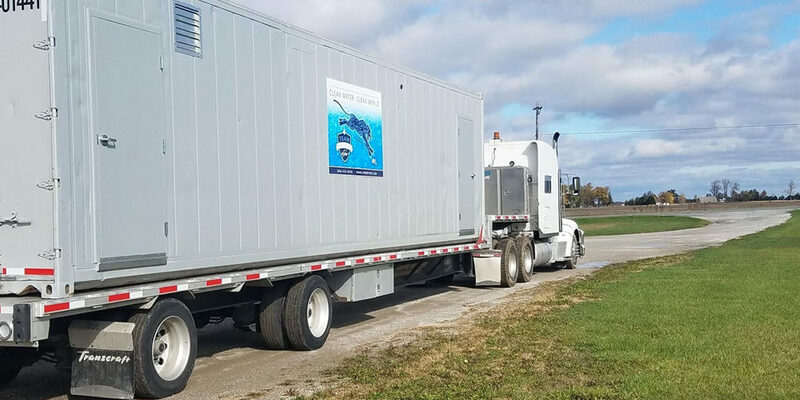 At this point, we were notified that the facility would be receiving a new NPDES permit and would therefore have to accommodate for nutrient removal. This sent IFM back to the drawing board, the previous plant was not designed for nitrogen and phosphorus removal. IFM's engineering department designed a plant for nutrient removal and submitted the new plans to the state DEP. This new design consisted of chemical feed of Sodium Aluminate, Acetic Acid, and Aluminum Sulfate. These chemicals are used to precipitate out the Phosphorus to be removed further in the treatment unit, control the alkalinity of the plant, and aid in settling of the solids to have a clean effluent stream. for an extended period of time. 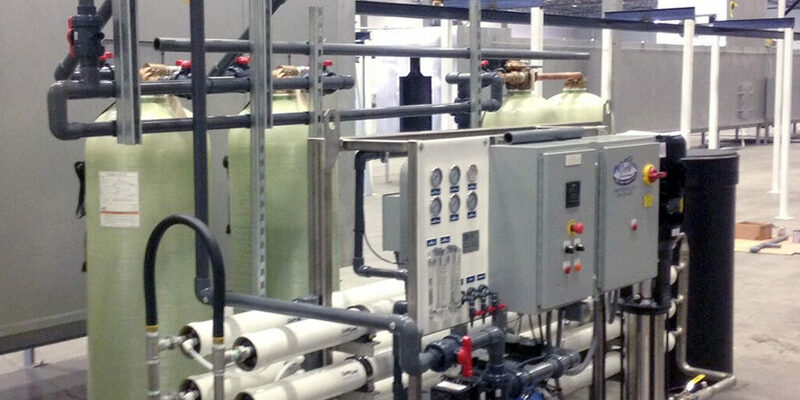 Once the majority of the plant was installed, the previous equalization tank was retrofitted to become the lift station and pump to the new plant. When the new plant was ready to be put online, IFM took sludge out of the existing plant to seed the new plant and start it up. The remaining contents in the old plant were then pum ped out so that the plant could be decommissioned. After some fine tuning of the operations of the plant and the proper chemical feeds for the incoming waste was determined, the plant began meeting limits. The table below shows our average results up and our percent removal of these parameters. 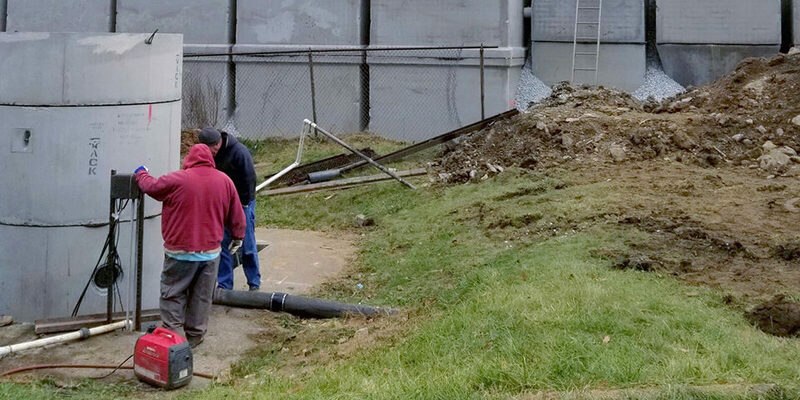 Please contact us for additional information on this project, nutrient removal in wastewater, or how IFM can help you with your water and wastewater needs.